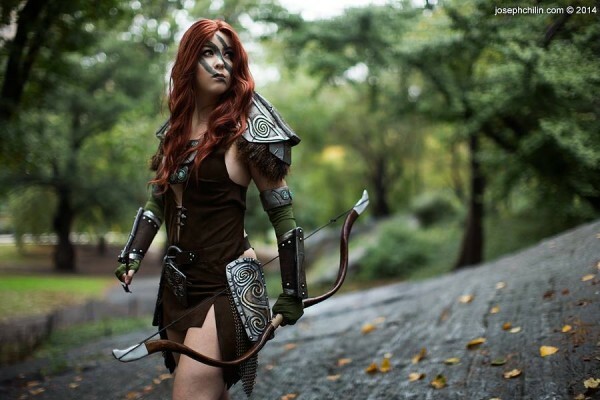 Not So Savage Aela the Huntress Costume « Adafruit Industries – Makers, hackers, artists, designers and engineers! 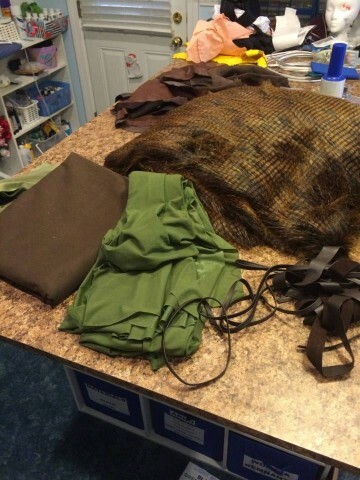 The clothing portion of the costume was probably the most difficult. 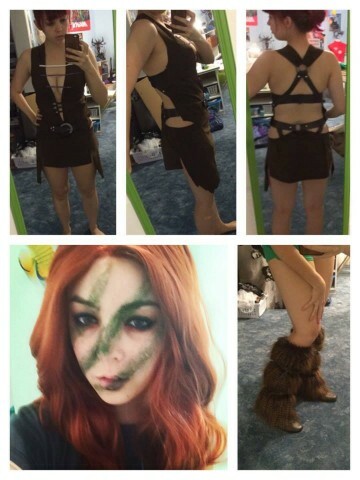 I patterned everything essentially from scratch and tried to work a V-plunge bra into her weirdly oriented strap thing in order to feel more secure…. I sewed the skirt portion separate of the bodice portion and attached those and began figuring out how to strap it together. The belt around the waist actually snaps in place and the top halter piece snaps as well so I can easily take it off/on. See more photos of the construction of Aela on Facebook.